Sedagive? and I had the chance to meet some of the great folks from Project Child Safe while we were in Las Vegas this January. We spent some time talking with Lindsey and Leroy while they handed out goodies to attendees at the Media Day pre-show event. 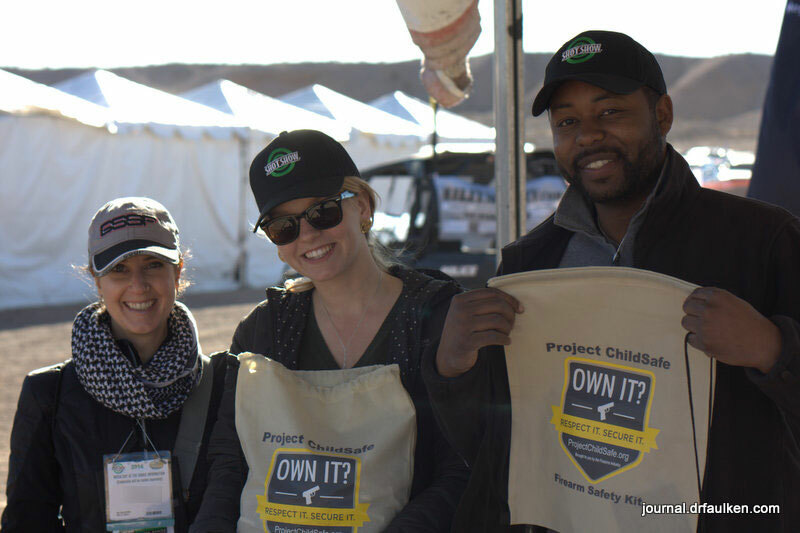 Project Child Safe is a non-profit organization that attempts to educate people about firearm safety and hunting safety. They also provide free gun locks. New firearms purchased in the United States all come with gun locks, but if you buy one used from someone then you’re on your own to get your own lock. 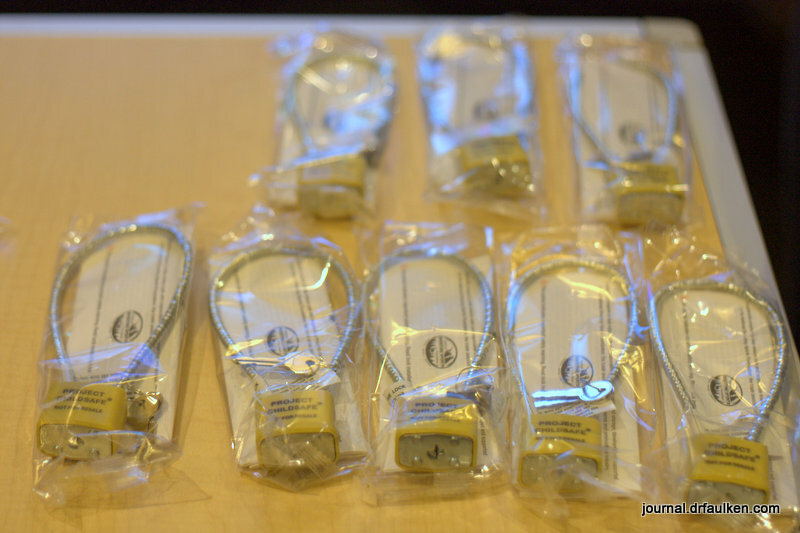 Free gun locks like these are given to law enforcement agencies in the US for distribution to gun owners. I have written about my own policies and procedures for securing my firearms and ammunition, but it’s nice to see Project Child Safe trying a “lowest common denominator” approach that is more attainable by a wider array of gun owners. I don’t have a need for locks like these in my security solution, but if you haven’t purchased a safe yet then this might be a great start for you. Locks like these keep firearms from being loaded and/or a round chambered by running the steel cable through the action. On semi-automatic rifles and handguns you can run the cable through the magazine well, too. The Project Child Safe Web site also has information about gun safety. The safe storage page is my favorite, and encapsulates a lot of what I wrote about previously on this blog. I’d like to see videos about gun safety on the site, especially a video on how to safely determine that a firearm is unloaded. Many people don’t know how to do this, or do this improperly. Please check out the Project Child Safe site. If you want a cable lock but don’t have one there is an interactive map that can help you get one from your local law enforcement office. In case you haven’t seen them, I did a series of YouTube videos that describe basic firearms safety, gun handling, and introductory knowledge everyone should have if you want to own or discuss guns.